These photos were taken in a Tampa FL home before and after our pet stain removal service. These aren't your typical pet stains. These marks in the carpet are deposits of fur oils and dirt brought in by the home owners dogs. As the home owner explained it, the dogs usually lay on a rug place behind a chair in the room. They often lay with their paws and heads just off the rug where the orange/brown marks are in the before picture. These pet stains developed slowly over time. Dog fur is loaded with natural oils that help keep the dogs coat shiny and clean. The oils can easily transfer to carpet and furniture, especially if the dog likes to rub it face against the floor. These oils can be difficult to remove from carpet and may require a pet stain removal service. Most pet stains are the result of pets urinating in the carpet and they can require a specialized treatment as well. 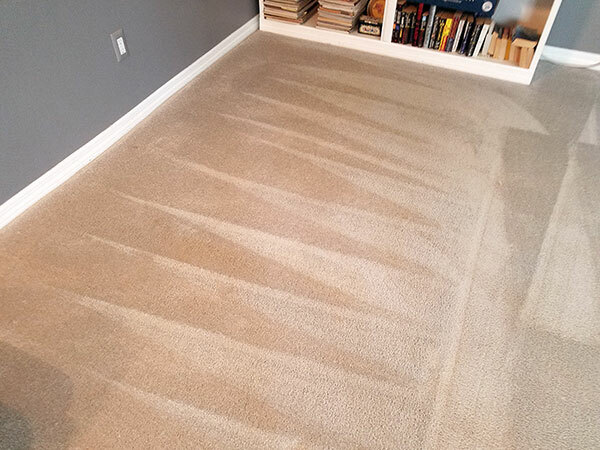 On this particular pet stain removal job we used a specialty grease and oil remover to pull the oils and subsequent dirt from the carpet. As you can see from the before and after pictures the stain removal was successful. If you live in Tampa FL or the surrounding area we can help you with all types of carpet and upholstery stains, pet related or not. 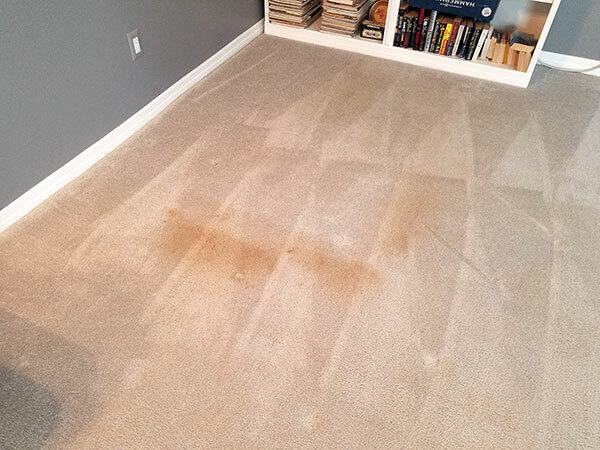 Chem-Dry of Tampa has a full range of stain removal services that can help bring your home back to a healthier state.